Our Alton Mission worship gathering is on the move. Looks like it will be a double switch, which is a baseball term but probably the metaphor doesn’t carry over well. 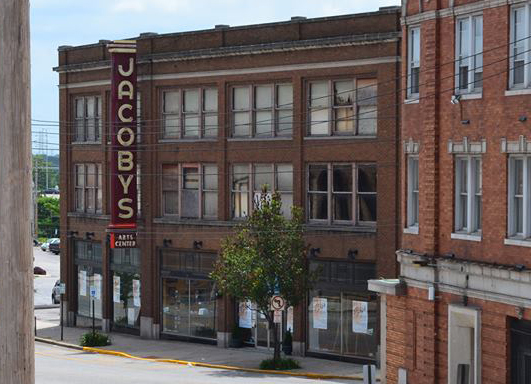 Starting August 3, our worship gathering will move to Jacoby Arts Center (627 E. Broadway in Alton). The time will also change to 4pm. We’ll take our time to experiment with the space a little and find out what works best for worship. The advantage is that the space is much more open and allows us any number of options for how to arrange ourselves and use the space. The folks at Jacoby are excited to have us there and have even suggested a fellowship coffee hour after the service with donated Bread Co. baked goods and coffee that they’ll supply for us. Might be a neat thing to do as a common meal and invite hungry friends to. Eating with the hungry can be such a dignifying, hospitable practice. Let’s think and pray and talk about how to do that well.